A traditional Preschool program for ages 3-5 years with preschool every day and care from 6:00 am - 5:30 pm. This inclusive preschool and care package is a nine-month program running from September to May. Children must be enrolled in our preschool program to receive Yer's care. We offer NO part time days or part time weeks. Preschool Cost is $186.00 per month for 9 months or $1,674.00 per year. Additional Care fee is $20.00/ day. Preschool cost is $206.00 per month for 9 months or $1,854.00 per year. Additional Care fee is $22.00/day. *For your convenience, the YMCA provides AM/PM snacks at no additional cost. Currently Enrolled Children: Wednesday, February 13, 2019 from 8:00 am - 1:00 pm. Open Enrollment: Wednesday, February 20, 2019 from 8:00 am - 1:00 pm. A $40.00 non-refundable/non-transferable registration fee is due upon registration along with a $25.00 non-refundable/non-transferable equipment fee. Monthly and weekly payments will be set up to withdraw automatically from a checking, savings, debit or credit card. Monthly Preschool payment will be withdrawn on the 28th of the month prior to service. A late payment fee of $20.00 will be added for upaid fees (after 5 days). Weekly payments will be withdrawn Friday prior to the following week of service. If payment is declined, you will be charged a $20.00 weekly late fee. NO EXCEPTIONS. Receipts will be given upon request. Delinquent accounts (after 2 missed payments) are subject to termination of your child's enrollment in the program. A charge of $5.00 per minute for pick-up after 5:30 pm will be incurred. Please note: If you receive subsidized child care monies from ELRC agency, you will be required to pay the difference in what they provide and what the Y Early Learning Center charges in addition to your weekly co-pay. We offer no part-time weeks or part time days. This policy applies to all childcare/preschool offered at the Y. **For your convenience, the Y Early Learning Center provides AM/PM snacks at no additional cost. We are unable to accommodate special dietary needs. Please send a nutricious, nut-free lunch and drink with your child daily. 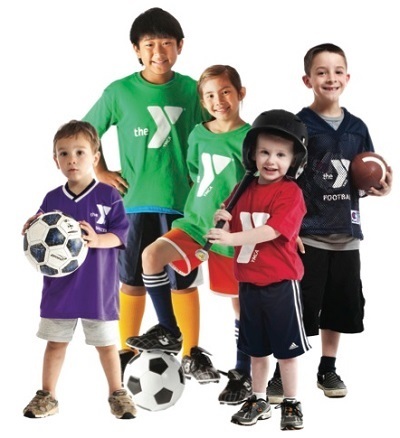 The Warren County YMCA is a State Licensed Childcare Facility and a Keystone Star 3 participant. This is a nut free facility. *Please call Amy Carlson, Childcare Coordinator at the YMCA with any questions or concerns. 726-0110 ext 112 or email: amy@warrenymca.org.